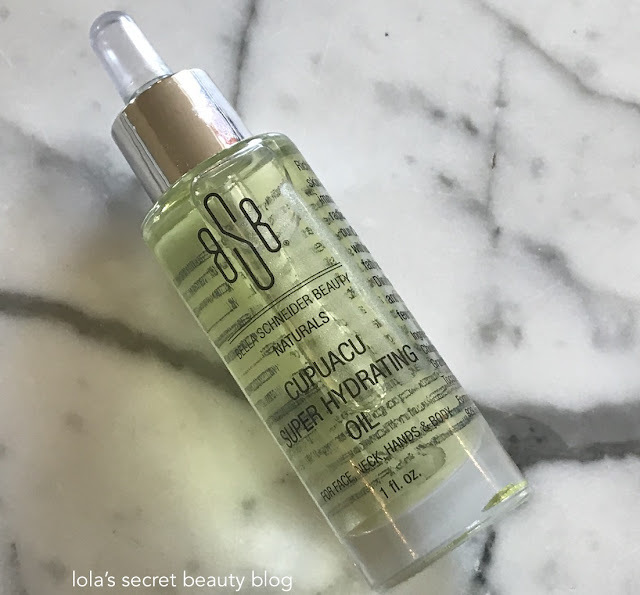 Bella Schneider Beauty, a new-to-me brand, knew of my penchant for luxury face oils and was kind enough to send me their Bella Schneider Beauty Naturals Cupuacu Super Hydrating Oil. 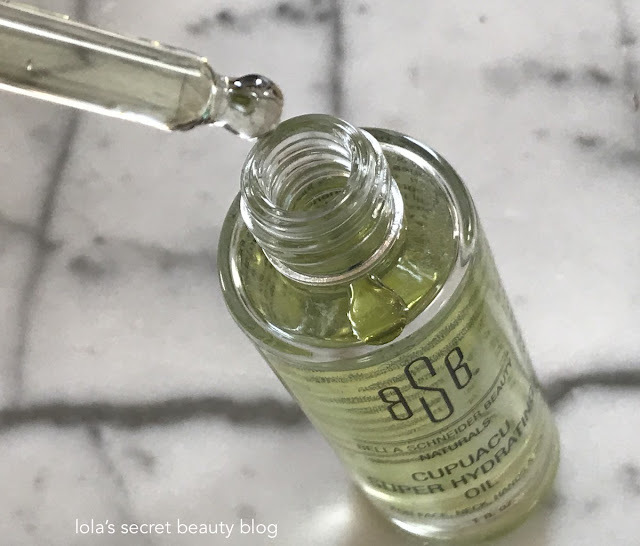 Formulated as a multipurpose oil, this antioxidant-rich oil can be used from head to toe, and I have tried it on my hair, scalp, face and body. The oil is lightweight with a velvety smooth texture and a luscious fruity floral aroma that is as delectable as delectable can be. It utterly melts into the skin and leaves it soft, smooth, nourished, luminous and ultra-hydrated, and it does so without leaving behind any sort of greasy residue. In my hair, it is very hydrating, it fights frizz, leaves hair manageable and gives it a beautiful glossy shine. I savor this beauty oil and in order to stretch this luxurious elixir a bit further, I tend to reserve it for my face, neck and décolleté– rather than on my hair and body. In addition to using it as a serum for my skin, I also add a drop or two to my moisturizers when I need extra hydration, and also a few drops to my foundation for added moisture and luminosity. This multi-use oil is great used anywhere on your face or body that needs serious moisture. Cupuacu butter and jojoba oil work to hydrate skin as well protect against free radical damage (thanks to all the antioxidants). Apply the lightweight oil to clean skin or add a few drops to your favorite moisturizer for an extra shot of skin-softening powers. Richly textured & beautifully fragranced, the protective Bella Schneider Beauty Naturals Cupuacu Syper Hydrating Oil indulges the senses while bolstering skin immunity from environmental pollutants and free radicals with potent polyphenols. 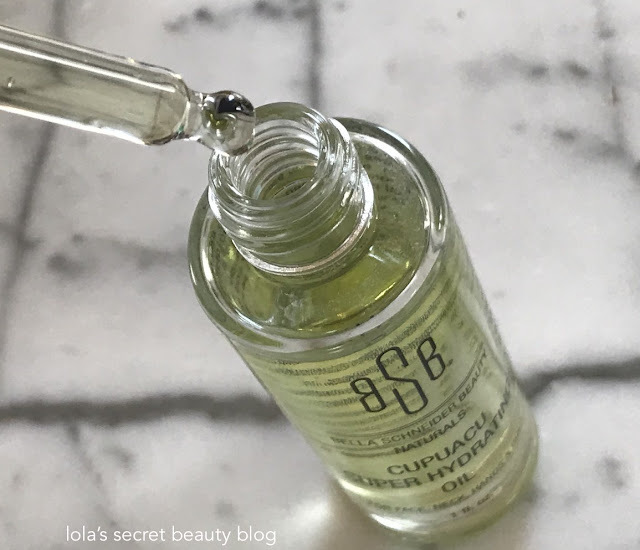 Luxuriously textured, Bella Schneider Beauty's Cupuacu oil promotes skin elasticity and hydrates with luscious Cupuacu butter, Jojoba oil, skin-strengthening fatty acids, and superfood vitamins. Ingredients: Vitis Vinifera (Grape) Seed Oil, Simmondsia Chinensis (Jojoba) Seed Oil, Fragrance, Theobroma Grandiflorum Seed Butter, Tocopheryl Acetate, Tocopherol, Helianthus Annuus (Sunflower) Seed Oil. Overall Assessment: I really like this oil so much, and despite the fact that I have an unbelievable number of face oils in use currently, I anticipate using this one down to the last drop. I definitely want to try more skincare products from Bella Schneider Beauty after such positive results. $59.99-$79.95 for 1 oz. from Bella Schneider Beauty, Aha Life and Bella Schneider Amazon Store (Affiliate Links). I agree, it really is. I have ben drenching myself in oils this winter– even more than usual– because it has been cold and wet this season (so far). The is a really wonderful oil, and definitely worth trying when you are looking to try another oil. This sounds like a truly incredible oil. I'd want to savor it for my face too. It even sounds like the fragrance would be a delight. 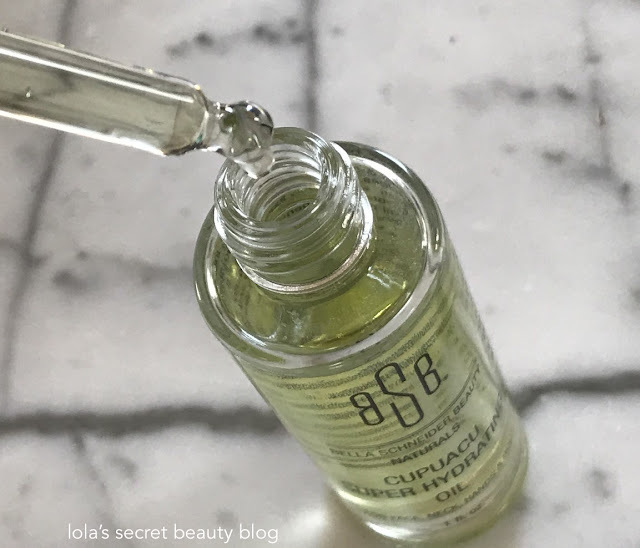 It really is a wonderful oil, and I think that you would love the light scent (and I do not think that it would give you any problems because it is light and it doesn't linger). I just don't want to go through this wonderful bottle as fast as I would if I used it from head to toe– so instead I use it on my face, neck and décolleté. This oil sounds promising to me! It is a really lovely and effective oil. I suspect that you would find it quite effective for your skin. You had me at fruity floral aroma! Now I want to try this! That's precisely what I thought the first time that I opened the bottle and smelled this glorious oil! I am really happy to have it!